Overlooking the Gulf of Guinea, Ghana is a land of hidden miracles. 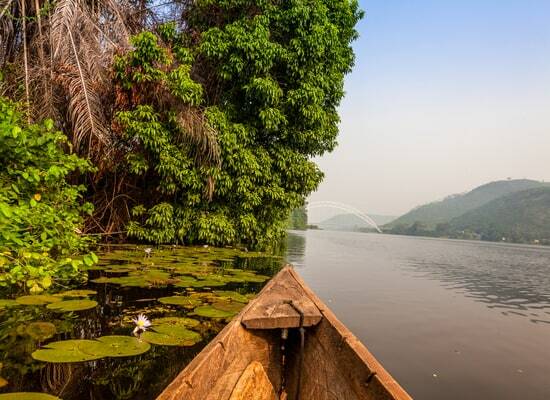 Its sunny beaches, historical relics and nature reserves make it one of the most fascinating countries in West Africa. Its discovery is neverending, served by a warm welcome from Ghanaians, who are very attached to the tradition of their ancestors. On the natural side, Ghana has nothing to envy from its neighbours. With savannahs as far as the eye can see, beautiful coasts, the small villages of Dixcove and Bosua, as well as the Mole National Park and Lake Volta, you’ll find no place void of things to do! On the cultural side, the country’s strong identity is reflected in many traditional events. Its historical heritage is not left out. With the Osu Castle and the Ashanti Museum, Ghana’s rich heritage will surely surprise you. Unfortunately, conditions of health are rapidly deteriorating in Ghana. The national health system is unjust due to significant inequalities in regards to access to care between the rich and poor. Moreover, public hospitals are suffering from ageing facilities and lack of medical equipment. Korle Bu University Hospital is the largest university hospital in Ghana, yet medical care and equipment offered here fail to meet sanitary standards. Unfortunately, medical facilities outside of Accra are scarce. Although Ghana offers a number of pharmacies, the drugs they sell have not been subjected to adequate quality control by public authorities. It is vital, therefore, to bring basic medicines such as antibiotics if you are visiting Ghana. The national ambulance service can be reached by dialling 193. Is Ghana Safe for Travel? Both, a visa and a passport are required to enter Ghana. The passport must be valid for at least six months beyond the date of departure.